Before proceeding to the intermediate steps in systems selection, let’s spend time examining various software and hardware procurement options that an organization must consider. 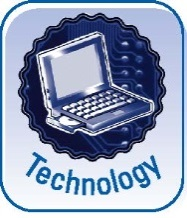 Computer software can be purchased, rented, leased, or developed in-house. Hardware can be acquired (rented, leased, or purchased) by an organization and managed by the organization’s personnel. Alternatively, the hardware can be owned and managed by external entities. Table 7.1 compares these external and internal sources for computer software and hardware. A review of Table 7.1 should lead you to conclude that external sources usually provide more capacity and affect the organization’s resources less, while internal sources can be matched more easily with the organization’s needs. Organizations implementing e-business Web sites must balance the imperative to launch a site rapidly (i.e., purchase an off-the-shelf e-commerce suite) with their desire to tailor a site to their needs and present unique content and performance characteristics to distinguish their site from those operated by their competitors (i.e., develop their own proprietary site). What are reasons for developing software internally versus acquiring it from external sources? Can be developed to meet all user needs, but may take longer than would a purchase. May be available more quickly, but we must pay for any modifications required to meet all user needs. Two company assets are built: the software and the experience of the development team. Purchased software may be an asset. But the software is probably similar to that owned by others. External expertise may be required to develop the software and to supplement and develop the internal staff expertise. Initial costs are higher, but cost is difficult to assess because 80% of the cost of a system over its life is for maintenance. Initial costs, being spread across many buyers, are lower, but we may have paid for features that are not required. Outcome of the development process is uncertain. We don’t know if the software will be delivered on time, within budget, and with required functionality. We can test the software and examine documentation before purchase. Ongoing support and maintenance must be provided in-house and staffing may not be adequate. Purchased ongoing support and maintenance may be quite costly if we have modified the system and can’t easily accept future releases. Better option for software that may provide a competitive advantage. Better option for straightforward, common applications. Can control the development process. Contract must specify performance requirements. Can ensure compatibility with existing and future applications. May require tailoring or development of bridging applications. Can adapt software to changing needs. Adaptations may not be forthcoming from the vendor and costly modifications may be required. Can determine level of control, security, and privacy. Level of control may vary and be difficult to attain, especially if many companies use the same hardware. Management and staff must be in-house. Management and staff are provided. Capacity limited. Additional capacity may be available. Costs are mostly fixed. Costs are mostly variable. Tailored to our needs. Tailoring varies.